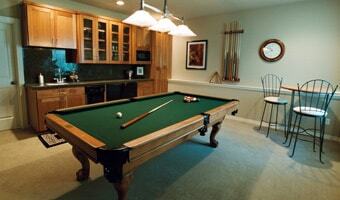 The #1 question we receive from customers is, "How do I find the right size sump pump?" followed up by, "What horsepower should I get?" The answer can be surprisingly simple. Finding a perfectly-sized replacement pump shouldn't require an engineering degree or complex calculations, and you shouldn't take for granted that your old pump was up to the task either. That's why we created this easy-to-use Sump Pump Sizing Calculator. It's only 2 steps, and all you need to know is how high and how far you are pumping. We'll take care of the rest. Step 1: How High Are You Pumping? Measure the vertical distance from the bottom of your sump pit to where the pipe exits your home. Round up. * Note: the average sump pit is 2 feet deep. Step 2: How Far Are You Pumping? 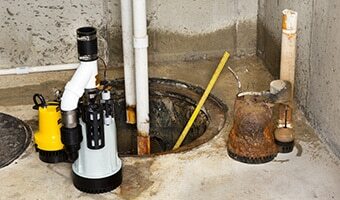 Measure from the center of your sump pit horizontally, to where the pipe discharges outside of your home. Estimate if you are going through a wall and round up. *Note: This sump pump sizing tool uses this as an estimate. Sump Pump Sizing Calculator.. Our Power Equipment Direct how-to library can help you learn about Proposition 65 Product Labeling, Introducing Barnes Sump Pumps and Sales Tax Information.